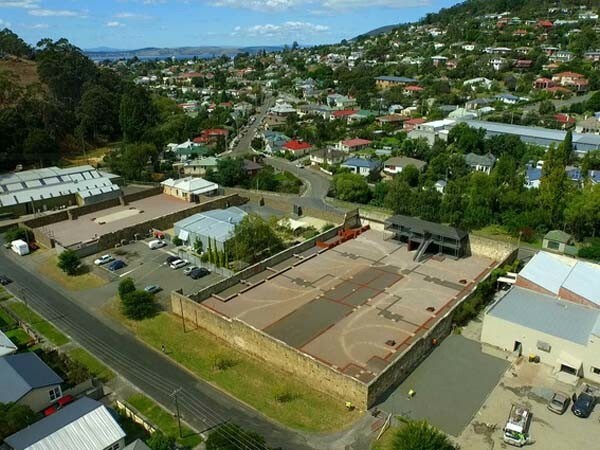 Tasmanian architects are invited to participate in an architectural design competition for a new history and interpretation centre at the Cascades Female Factory site in Hobart. Organised by the Port Arthur Historic Sites Management Authority (PAHSMA), the competition seeks designs that will serve as a contemporary and sympathetic response to the profound history of the site. The proposed centre will house a multipurpose record and data facility, an interactive education centre and exhibition and event space. A UNESCO World Heritage property, the Cascades Female Factory is Australia’s most significant historic site associated specifically with female convicts, and is one of three Tasmanian penal sites managed by PAHSMA. The Female Factory, so called because it put female convicts to work, was one of five built in Tasmania during its time as Van Diemen’s Land penal colony. Of the 13,000 female convicts that were transported here between 1803 and 1853, more than 6,000 spent some time within the walls of the Cascades Female Factory. After the transportation of convicts to Tasmania ended in 1853, the facility was used as a prison, a home for the poor and the insane, and a hospital. Given the prison’s historical significance for Australian women convicts, PAHSMA is requiring entrants to demonstrate a ‘commitment to resourcing the project with a significant proportion of female participation’. An all-women jury, chaired by Professor Sharon Sullivan, chairperson of the PAHSMA board will select the winners. The jury also includes architect and inaugural Paula Whitman Leadership in Gender Equity Prize-winner Catherine Baudet, director of the Tasmanian Museum and Art Gallery Janet Carding, architectural writer, researcher, and former editor of Architecture Australia Justine Clark, former national president of the Australian Institute of Architects Shelley Penn, and architect Penelope Seidler. To be conducted in three stages, the competition will require architects registered in Tasmania or eligible for registration in Tasmania to submit expressions of interest in the first stage, followed by the shortlisting of entries invited to submit initial concepts for the second stage. Shortlisted entrants from the second stage will then progress to the final concept stage. Expressions of interest will close on 5 April 2017, with the shortlist for initial concepts to be announced on 10 August, and the winner announcement to take place in November. The winner will be awarded a $15,000 prize, with $10,000 and $5,000 for second and third prize winners respectively. Entrants who make it to the final concept stage will each receive a $7,000 honorarium.